EDIT: Here’s the direct link to Kane’s Kitchen on iTunes… You have been served! You would think that Christian Kane would not have time to add another occupation to his busy schedule, but clearly you’d be wrong! Already he’s an accomplished actor (known for SyFy’s The Librarians and TNT’s Leverage, plus many more movie and TV roles), and also a rockin’ Country Musician (check out the re-release of his album “The House Rules/Welcome To My House” on iTunes, Google Play, Spotify, & other retailers – leave a review!). His culinary skills were already known by his fans, or “Kaniacs”, thanks to both interviews and the occasional opportunity for Kane to show off on camera. Next, in a collaboration with his friend and colleague Dean Devlin (Producer and Writer of projects such as Independence Day, and Stargate) Christian is cooking up a storm in his new show Kane’s Kitchen – coming this summer to various VoD streaming services. I’m intrigued to find out what “Purple Pizza” entails (episode 1) and what’s so “Badass” about his Brunch! Keep an eye on the newly launched Kane’s Kitchen website for release dates. Thanks! I’m *so* looking forward to this show. Love it! I’ll second that. 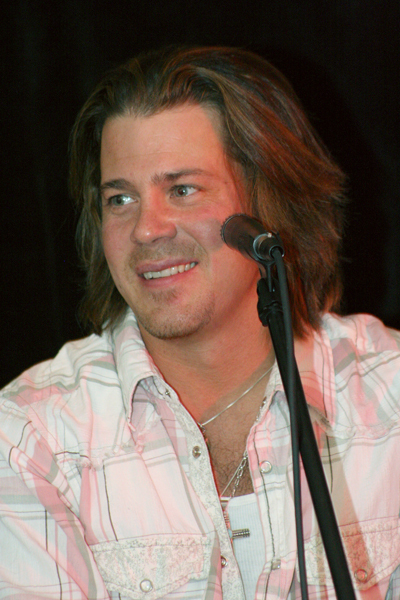 So looking forward to Kane’s Kitchen.. Christian Kane is such a multi talented man already with the singing and acting. and now cooking! that is hot! thanks for sharing!! Thanks! I’m so excited to see this show. Did you see the “Taste of Music” episode he was on a while ago (you can find it through the NewsOK article)? Hungry now!